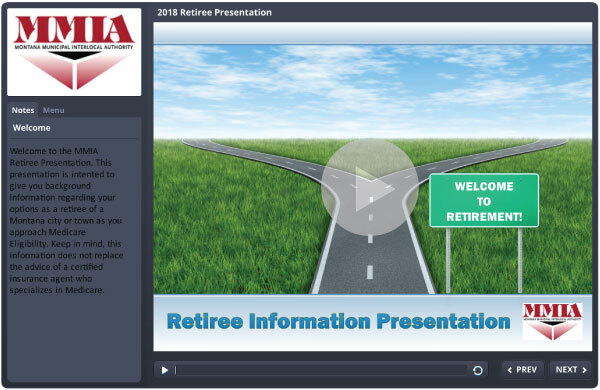 Watch this short video to learn everything you need to know about coverage as an MMIA Retiree. 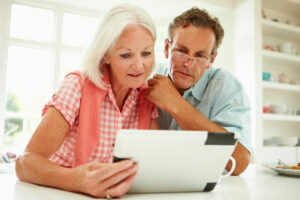 Sign up below if you would like someone to reach out to you regarding retiree coverage options. As you or your spouse approach age 65 and Medicare eligibility, you may wonder what will happen with your health coverage. The good news is, as an MMIA Plan participant, you have options! If you are an active employee when you turn 65, it is your responsibility to sign up for Medicare Part A and send your city or town representative a copy of your Medicare card. Because you have a group health plan, you may be able to wait to sign up for Part B until you retire without a penalty. Contact a Medicare expert to learn more. As long as you remain an active employee on an MMIA Health Plan, MMIA will continue to pay as your primary insurer. If you are retired and are 65 or over, it is your responsibility to sign up for Medicare Parts A and B and send your city or town representative a copy of your Medicare card. When a retiree becomes Medicare-eligible, MMIA coverage automatically changes to being a secondary payer. That means if you go to the doctor, Medicare pays first and your MMIA benefits will apply to any bill left over. For example, John has a procedure and the hospital charges $1,000. Medicare’s allowable is $800. Medicare pays $600. That means there is $200 left. John has MMIA coverage as secondary insurance. He hasn’t met his deductible, so he has to pay $200 out-of-pocket. MMIA plans are designed mainly to function as primary coverage and may not coordinate with Medicare in the most efficient way. This may mean you pay a higher monthly premium and more out-of-pocket for services than if you had a Medicare Advantage or supplement plan, which are specifically designed to coordinate with Medicare. Have options to include low-cost dental, vision, and hearing aid coverage. For more information about the MMIA-sponsored Group Medicare Advantage Plans, contact Wendy Schermerhorn at 406-969-3000 or askwendy101@gmail.com. 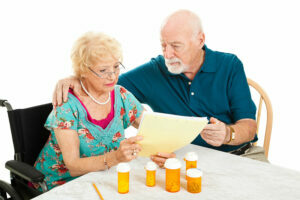 The MMIA-Sponsored Medicare Advantage Plan is just one of many options. Retirees may also consider contacting a certified insurance agent who specializes in Medicare to ask about other Medicare Advantage and supplement options. 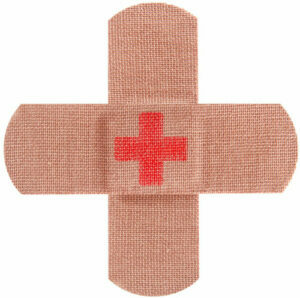 If you leave an MMIA Medical, Dental or Vision Plan as a retiree, you cannot come back. This includes leaving the MMIA Plan to join the MMIA-sponsored Group Medicare Advantage Plan. However, if you leave the MMIA Employee Benefit Plan for a Medicare supplement or Advantage Plan, your non-Medicare spouse can stay on the MMIA Plan. Also, if your spouse is a Medicare-eligible retiree, currently enrolled in an MMIA Plan or any other plan, he/she may join the MMIA-sponsored Group Medicare Advantage Plan. If you are currently on an MMIA Dental and/or Vision Plan, you can continue that coverage even if you leave for another medical plan. To make a change to your MMIA benefits, contact your city or town representative.